What's Halloween without some costumes, acting, and freaky characters readily available to scare the pants off of you? 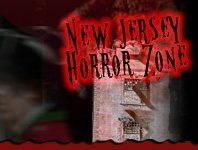 With New Jersey's Theaters and Halloween Plays you don't even have to venture off to find these staples in spooky culture. Stories of dangerous asylum patients and horror are just a few of the reoccuring themes you'll see. Not to mention, some of these plays are surrounded by other close-by attractions and many are charity-related/ not for profit events. Supporting local growth, acting, and getting a good haunt are all in a day's work for New Jersey's Halloween themed plays at various theaters.